Finding a great pair of dress shoes is one thing. Finding a great pair of dress shoes that are as comfortable as running shoes is quite another. So when I heard that Wolf & Shepherd was the brand behind the “most comfortable dress shoes in the world”, I knew I’d have to get myself a pair and put them to the test. Named after Brazilian Formula-1 driver, Ayrton Senna, the Senna by Wolf & Shepherd is a wingtip dress shoe that is designed with style and superior performance in mind. As with all of my shoe reviews, I like to appreciate the presentation of the shoes and the overall experience of un-boxing them when they arrive. A quick look at the box and I knew that Wolf & Shepherd was not going to disappoint. My Senna Wingtips came in a sleek box with gold-colored lettering which gives the box itself a simple yet elegant look. Upon opening the box, I found a two-sided card which read “Welcome to the Wolf Pack” on one side and included details about the shoes themselves on the other. I thought this was a nice touch that gave a sense of community as well as a great first impression of the brand. Additionally, each shoe came with its own individual shoe bag (see photo below) which definitely added some bonus points in the overall value category. I was very impressed with how stylish the Senna Wingtips looked when I first tried them on. 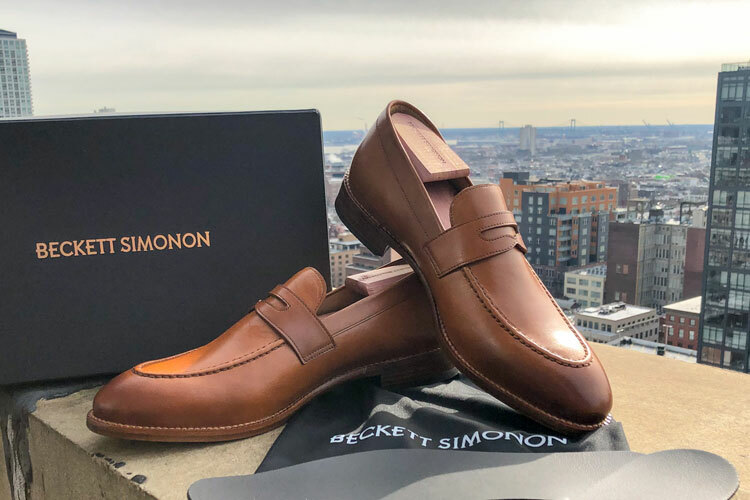 These shoes have a unique design and the high-quality leather has a natural sheen that gives the shoes an elegant look. There are also lots of subtle details that combine to give the shoe a bit more character than your average dress shoe. The vamp of the shoe features classic wingtip stitching (hence the name) and there is nice broguing on various sections of the leather upper. The Senna Wingtip is a particular style of brogue known as a “blind brogue,” meaning the shoe has perforations on the vamp, quarter, and heel, but does not have a toe medallion like a full brogue. Speaking of the toe, there are nice burnishing touches on the toe which brings out a bit of an antiqued look in the shoes themselves. 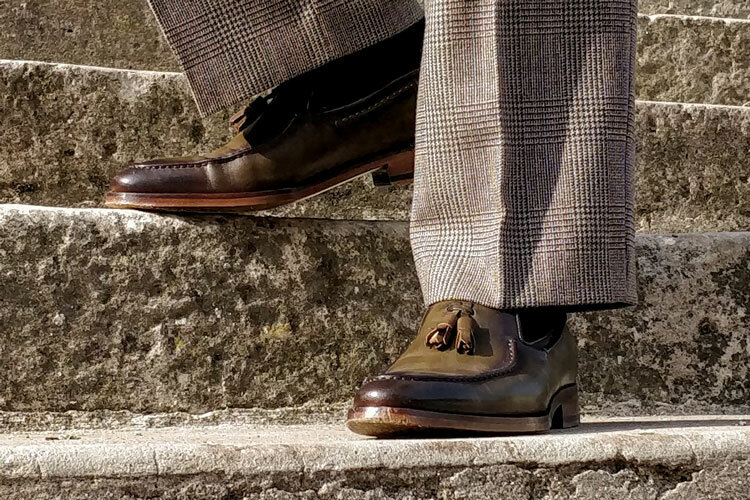 Wolf & Shepherd shoes are known for being particularly comfortable, but in order to appreciate this superior comfort you need to make sure you’re shoes are the correct size. 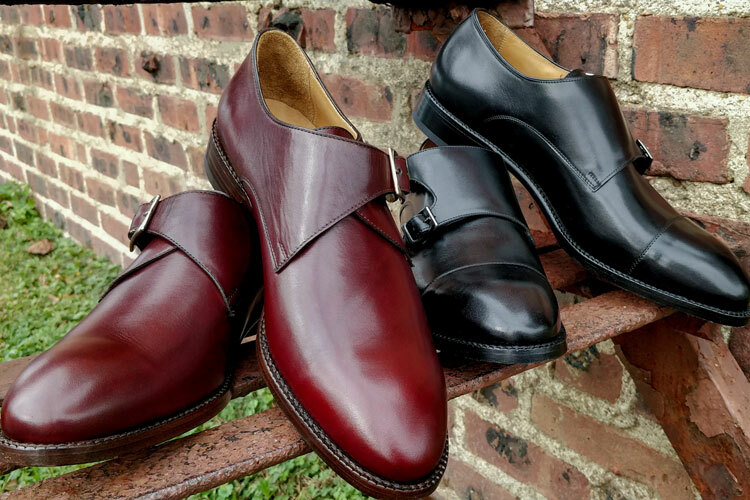 Fortunately, there is a very useful “Sizing” tool on the Wolf & Shepherd website to help you determine the optimal size and width to order based on the specific style of shoe, as well as several other factors. After filling out my information, I was recommended a US size 11.5 D which is consistent with most of the dress shoes that I own. Based on my experience, as well as the dozens of reviews that I read, it seems like the Senna Wingtips tend to fit true-to-size, but it’s worth using the interactive tool yourself just in case. Let me start by saying that these are definitely the most comfortable dress shoes that I’ve ever worn. I found the shoes to be quite comfortable right out of the box. This was a nice surprise considering the fact that I typically need a good week or so to properly break in a new pair of dress shoes. The real difference in comfort, however, becomes apparent the first time you wear these shoes for a long day that involves lots of walking and/or hours of standing on your feet. Typically, I’ll begin to experience some sort discomfort and even feel a bit of pain towards the end of a particularly long day of wearing dress shoes. However, I’ve noticed that my feet have been able to make it throughout the entire day without any issues with the Wolf & Shepherd’s. 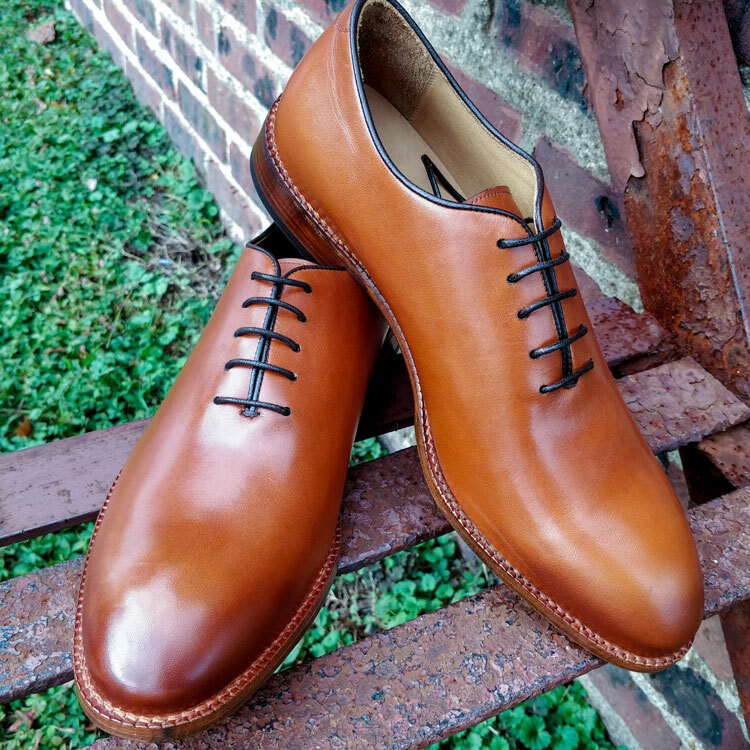 So, how exactly does Wolf & Shepherd make such comfortable dress shoes when it seems like so many others cannot? Much of their success lies in the patented technology and design elements found in their shoes. As with all Wolf & Shepherd shoes, the Senna Wingtips feature the company’s patented comfort technology which results in a shoe that is as comfortable as it is fashionable. These particular shoes also feature a proprietary memory foam footbed lined with ultra-soft sheepskin, for an incredibly comfortable wear. Think of a Tempurpedic mattress for your foot. On the outside, the shoe has a Phoenix TECH outsole along with a high-density EVA foam heel, both of which add to the overall comfort on the foot. The Senna Wingtips are also one pound lighter than the average dress shoe thanks to some of the efficient design elements like the lightweight Swiss insole. This definitely helps on those days when you have to run between meetings or need to walk a lot. Whenever I consider investing in a new pair of dress shoes (or investing in anything for that matter) I want to be sure I am getting great value for my money. At $365 USD these shoes are not exactly cheap. However, if comfortable is what you’re after then there is no question that the Senna Wingtips offer excellent value. You can purchase these shoes directly from Wolf & Shepherd’s official website. 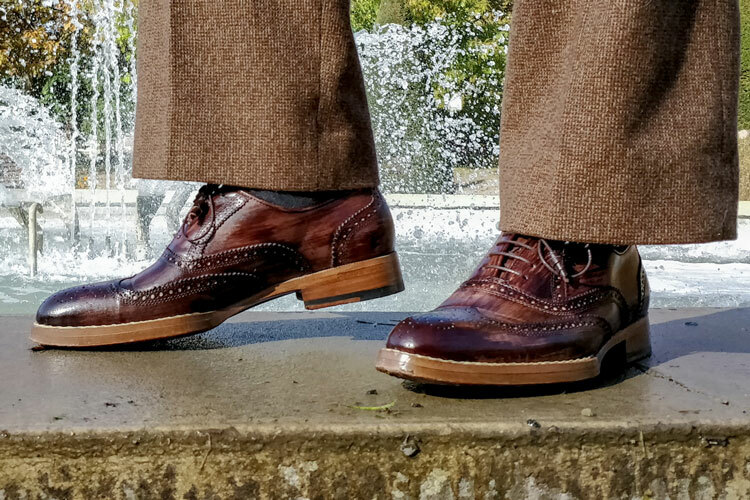 Wolf & Shepherd is known for exceptionally comfortable dress shoes and the Senna Wingtips did not disappoint. If you’re looking for a pair of stylish dress shoes that will get you through the long days then you can’t go wrong with Wolf & Shepherd. 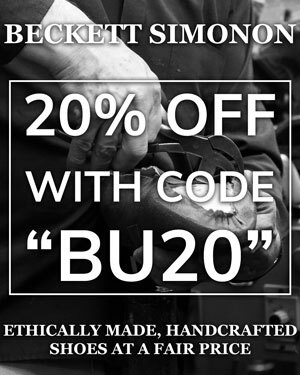 I’m looking forward to trying some of the other styles that the brand offers in the near future! Reviewed by Trevor Guilday, on June 14th . "Finally an exceptionally comfortable dress shoe that doesn't sacrifice on style. I couldn't believe how great my feet felt after a full day of wearing these shoes for the first time." I’m really interested in Wolf & Shepherd shoes but the Blake and cemented welt seems odd at this price point. Do you know how the shoe has both and whether it affects resoling? Yes that is “strange” at this price point. But it’s in essentially its own category of shoe, being on a unique comfortable bed. So can almost be seen as a dress sneaker I suppose. They are indeed very comfortable, so holds up there. If you’re a shoe construction purest, then these may not be the best option for you. If however you want a really comfortable, great looking dress shoe then this may be a great option. I personally love traditionally made shoes, so usually wear them but put the Wolf & Shepherds on when I know I have a lot of walking to do between meetings for example (some days I’ve been know to walk almost 10 miles while in NYC). As for resoles, they offer a program in house so may have to send them back and not go to your regular cobbler. Note, I’ve not used this service yet(as not worn the soles out), but heard good things. Ok, I totally get it now. This actually makes sense to me as we often buy sneakers and throw them out when they lose their cushion and shock absorption after about a year as they can’t be resoled. It’s great that you can get these resoled, then. It sounds like they’ve really thought about the long-term value for money while trying to retain the concept of running shoes. I’m sold (pun intended) and will buy a pair for when I’m back to work in September. I’m a university lecturer so I’m regularly on my feet for hours on end. Wow, I’ve been looking for shoes like this for ages! I walk for miles a day at work but have to stick to a dress code. Thanks for writing those top shoes lists as one of those brought me here. Will be buying a pair ASAP! Great to hear you’ve been perusing our shoe guides! We try our utmost to cater to men with needs just like yours! Let us know how you find the shoes. DO NOT BUY THESE SHOES!!! I apologize for your experience and would like to offer assistance. Please reach out to our CX team by emailing [email protected] and we can help you with your order. After weeks of research I bought a pair and had them shipped to UK. Worn them twice the stitching came away at the back a hole appeared. Still awaiting a response quick to take your money but not good at solving issues I would not buy from them again. The shoes were initially super comfortable. However, after only 4 months and very light usage, several holes and tears developed on the inside of one of the heal cups. Despite describing the problem and sending pictures, the company insisted that they adhere to their 90 day return policy. This is unacceptable for a shoe that costs $345. I will never buy another pair from them. I have returned Adidas running shoes after 200 miles of running when the sole separted and gotten a new pair no questions asked. Wolf & Shepard doesn’t live up to this reputation of the former company of its founder and will therefore not get the business of me or my friends again. Damn, sorry to hear that! Shame that they didn’t exchange it. Did they base this solely on their 90-day return policy or were there other reasons?